Anaemia during pregnancy is not uncommon. This is mainly due to the changes in the body to support your growing baby particularly the increase in blood volume. Anaemia is a result of too few red blood cells in the blood which are used to transport oxygen around the body. 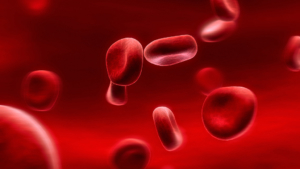 Red blood cells are produced in the bone marrow and contain the protein haemoglobin which is vital for carrying oxygen. Adequate amounts of iron, vitamin B12 and folate are required for the production of haemoglobin. Unfortunately, iron is not easily absorbed in the body making it difficult for the body to make haemoglobin. Pregnant women are often recommended to take an iron supplement during pregnancy to help avoid becoming anaemic. A person with anaemia will feel tired and in more severe cases may experience feelings of breathlessness, dizziness, weakness, racing heartbeat, irritability and difficulty concentrating. For pregnant women, they will feel more tired than expected and in severe cases the amount of amniotic fluid around the baby will be reduced, increasing the risk of complications such as miscarriage, pre-term birth or delivering a baby of low birth weight. A baby born to an anaemic mother may also be anaemic.